The Miami Dade condo market rebounded this past week. There were 106 transactions for a total sales volume of $52,993,714. 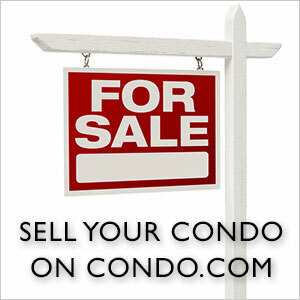 The average price for a condo was $499,940.70, or $337.77 per square foot. 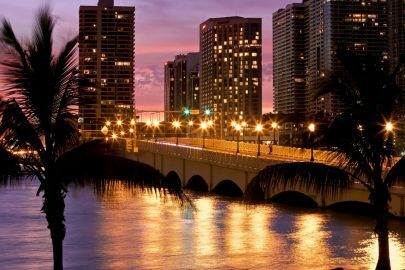 Miami Beach was the top city with 19 closings for a total of $21.224 million. 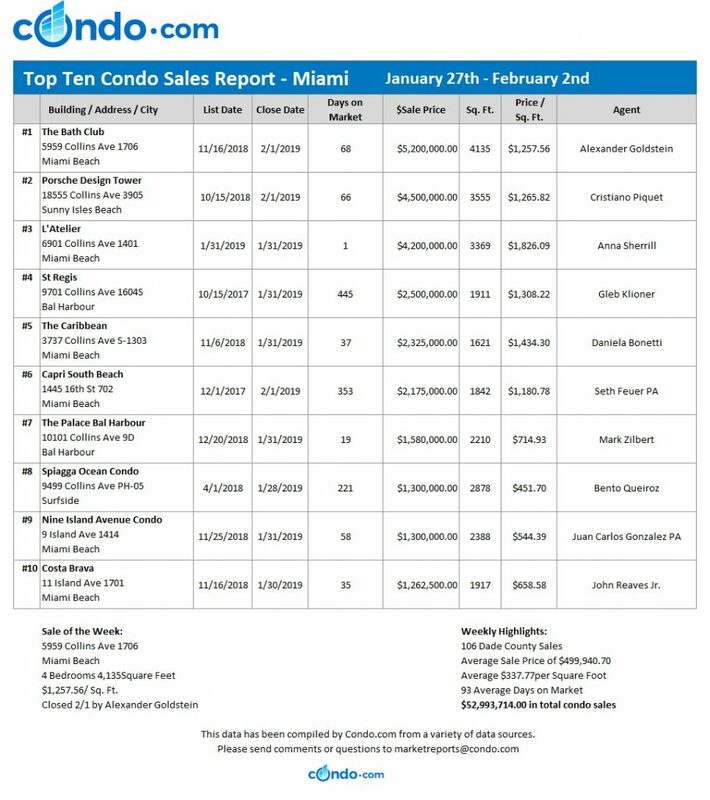 Miami recorded 48 sales for a total volume of $13.011 million. There were 6 transactions in Sunny Isles Beach for a total of $5.835 million. The top condo sale of the week was a spacious 4,135 square foot property at The Bath Club in Miami Beach. 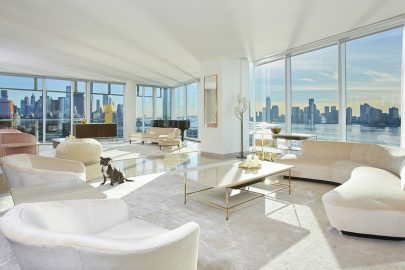 This four-bedroom unit at 5959 Collins Avenue sold for $5,200,000, or $1,257.56 per square foot. After 68 days on the market, this condo was sold by Alexander Goldstein. 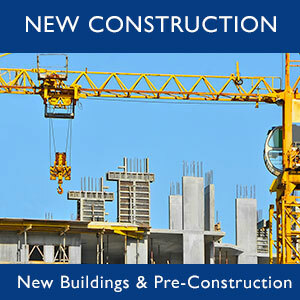 The Miami Dade condo market is anticipating a great month ahead.